FENTON TWP. 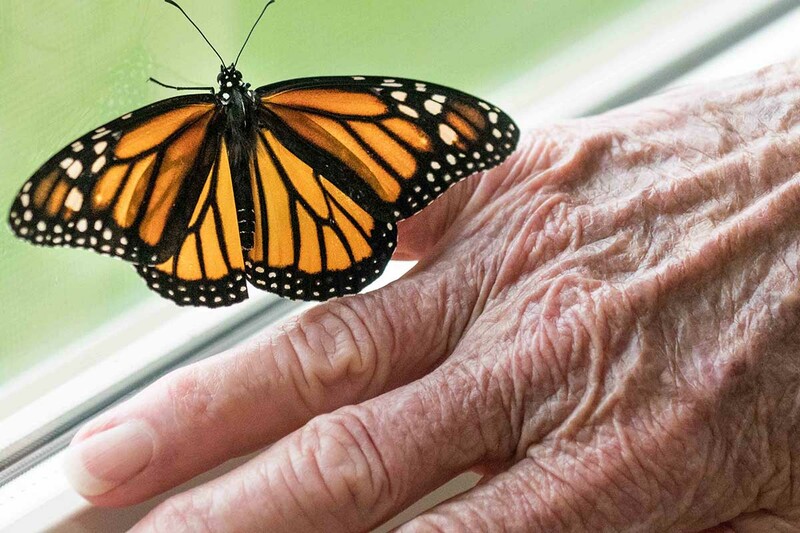 — Carmoleta Foley watches as a recently hatched female monarch butterfly clings to her fingertips. It flexes its wings before rushing back to the window of her kitchen, Foley’s colorful flower garden just beyond. “Everyone’s starting to call me the butterfly lady,” she said. 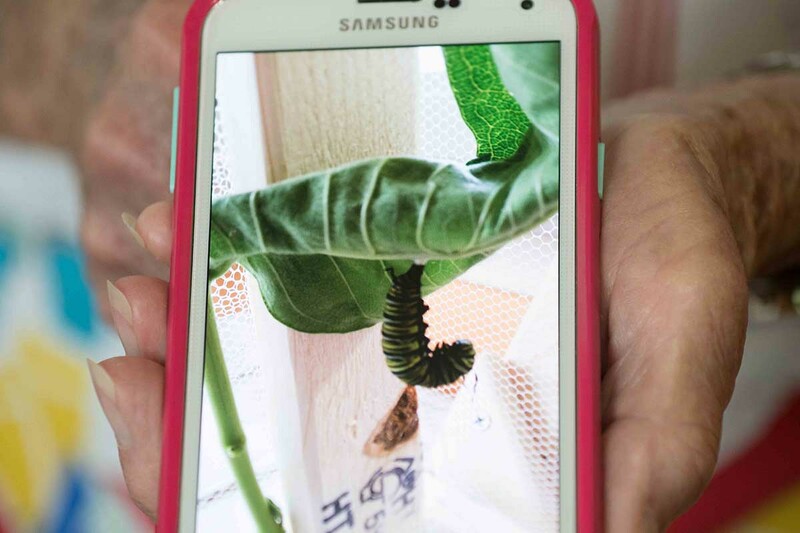 This is the second monarch she’s released back into nature. One morning last month, another emerged from its chrysalis in the mesh box she built just for this purpose. 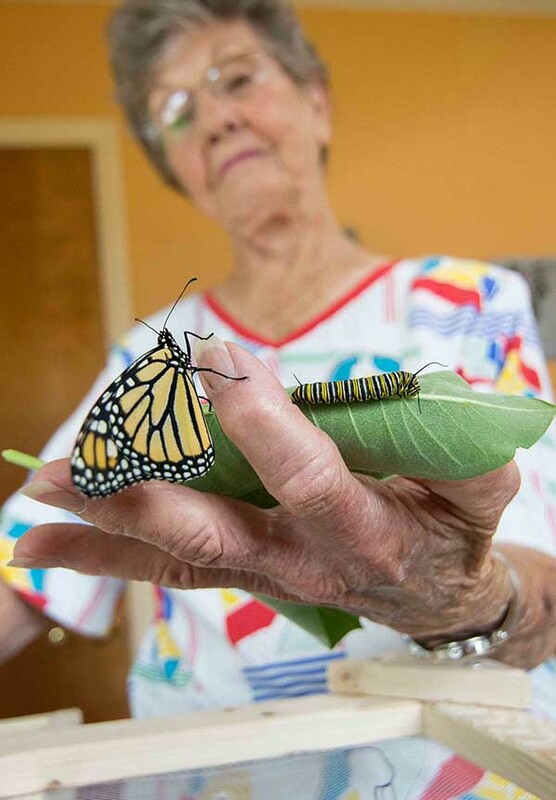 Nearby is her “menagerie” of monarch butterflies in various stages of development, along with a calendar of their progress. It’s a small act in the face of a big problem. 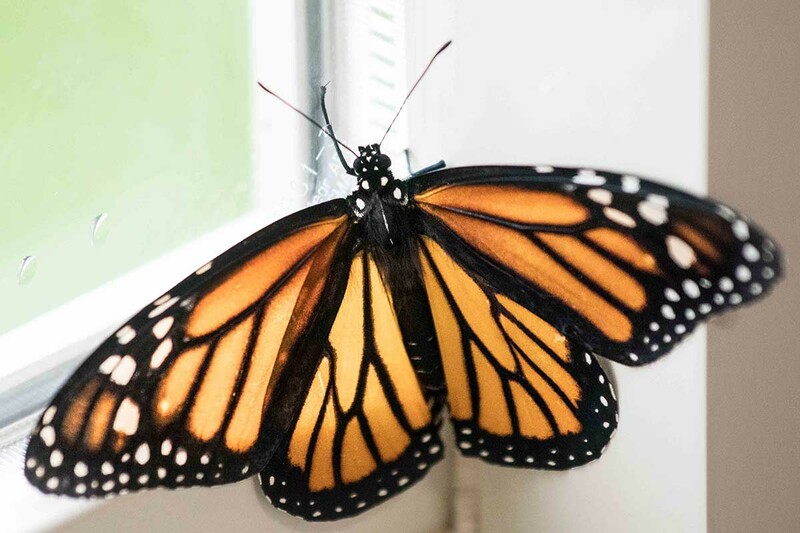 Monarchs, which are vital to the earth’s ecosystem because they pollinate wildflowers while feeding, are dwindling in population in Michigan and nationwide. 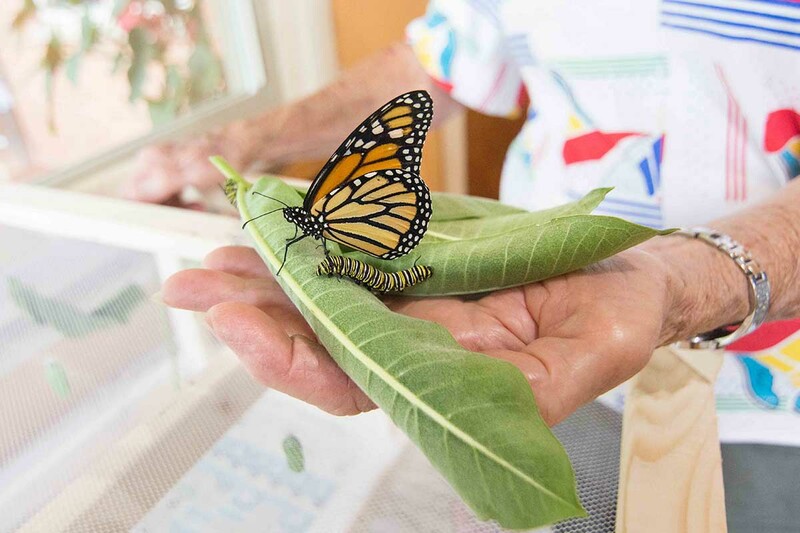 Monarchs go through four stages — egg larvae (caterpillar) pupae (chrysalis) and finally the adult butterfly. In February or March, adult monarchs wake from hibernation to find a mate, migrating north to lay eggs on milkweed plants in March or April. Eggs hatch in four days.The caterpillars stay on the milkweed leaf, eating, and growing. After two weeks, the larvae will be fully grown and search for a place to attach itself to begin metamorphosis. In this phase, the caterpillar attaches itself to the bottom of a leaf, and transforms itself into a chrysalis. This period lasts 10 days. During this time, the larvae changes completely, and develops into the adult butterfly. 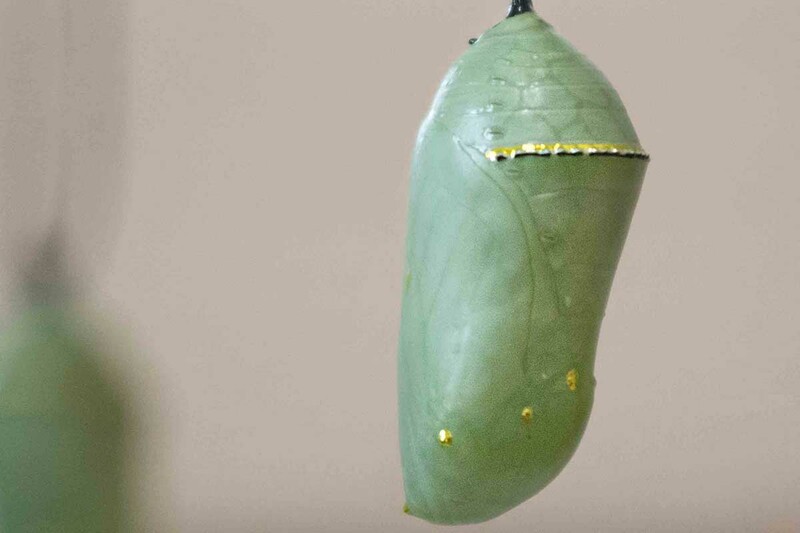 Finally, the chrysalis opens, and the adult flies away. It has two to six weeks to find a mate. 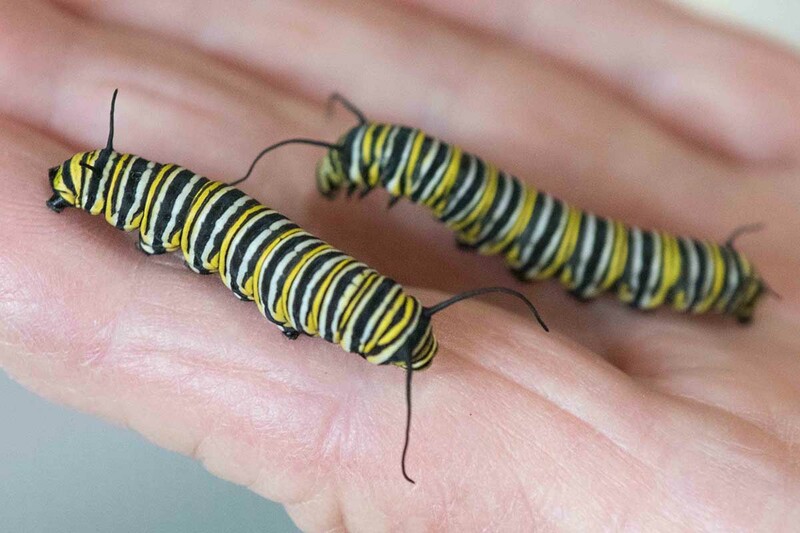 The National Park Service blames loss of habitat, climate change and destruction of milkweed plants, which are a crucial food source for monarchs. In the past 20 years, populations have declined some 80 percent and the U.S. Fish and Wildlife Service is considering listing them as a threatened species, according to Michigan Radio. Mark Hunter, a University of Michigan ecology professor, said monarch populations rebounded slightly in 2018 but there’s a “pervasive” decline throughout the United States and Mexico. The problem is acute in Michigan because of an invasive plant in the northern Lower Peninsula that attracts, and poisons, the butterflies. The black swallowwort has been seen in the Grand Traverse County community of Kingsley, and is very hard to kill, according to the Traverse City Record-Eagle. This May, the Midwest Association of Fish & Wildlife Services was working on a plan to reverse the decline of the monarch, which included bolstering habitats and planting milkweed, in a coordinated regional effort. The U.S. Fish and Wildlife Service also offers several ways for concerned individuals, communities and even farms to help the monarch. The FWS.gov website includes links for various groups to get involved. 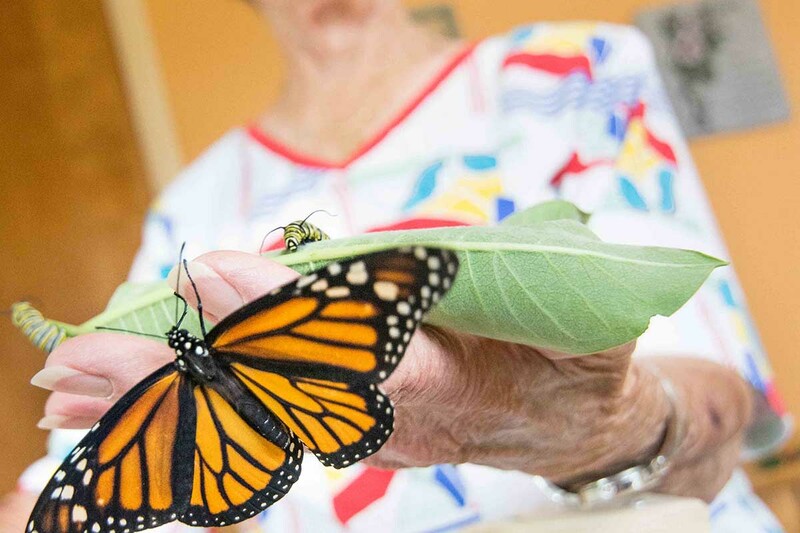 Individuals can learn to create a monarch habitat, track monarchs or educate others. Foley’s own conservation plan began just this summer when she was out in the garden one day and saw a monarch caterpillar. Her friend suggested she bring it inside instead of letting a bird eat it. From the eggs hatch the caterpillar, which she said can be the size of an eyelash, when young. She carefully collects them and keeps them inside where they can grow without being eaten by predators. She gives them fresh milkweed every morning and night. “I’m just helping Mother Nature a little bit,” she said. Timothy Jagielo is multimedia director of the Tri-County Times. This article originally appeared on the news site on Sept. 8. 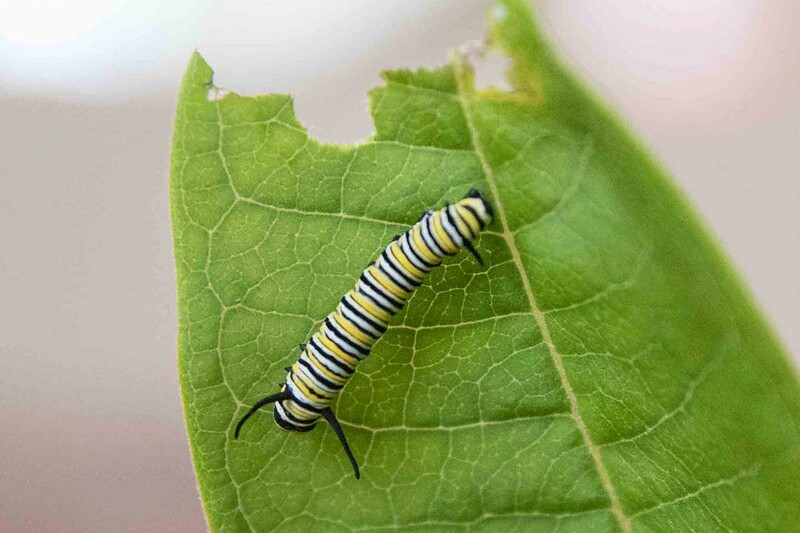 I do a lot of biking in the countryside and have noticed for years the decline of the Monarch butterfly, I see plenty of milkweed plants but hardly any evidence of caterpillars eating the leaves, it is obvious something is going on and its not good. I would love to do this. I've planted a lot of butterfly bushes and other plants to attract them but I haven't seen hardly any this year.